Crack out the lasagna; The Hollywood Reporter brings words that a Garfield animated movie has found a home at Alcon Entertainment, the studio currently presiding over Denis Villeneuve’s long-gestating sequel, Blade Runner 2. Circling back to the strip-based comic that first made its bow back in 1978, before shooting to success throughout the ’80s, THR notes that Alcon has struck a deal with Jim Davis – creative mind behind the rotund feline – who will serve as executive producer on the finished movie. It’s understood Alcon is eyeing a bona fide series of CG films based around the endearing and indeed conniving cat, along with his adventures with Jon Arbuckle and Odie, the clueless dog that fast become an easy form of entertainment for the mischievous Garfield. Of course, Garfield has made a pass at the big screen before, most notably with Peter Hewitt’s live-action movie that had The Jungle Book‘s Bill Murray provide the voice of everyone’s favorite ginger cat. A middling critical reception wasn’t enough to hamper a relatively strong $200 million bow at the box office – off the back of a $50 million production budget, no less – eventually going on to seed A Tail of Two Kitties in 2006. Even at this early stage, though, it’s clear those involved with this new feature film are keen to tap into the essence of Davis’ work. Despicable Me producer John Cohen and Steven P. Wegner were instrumental in pitching the project to Alcon, where the pair will produce opposite Andrew Kosove and Broderick Johnson. 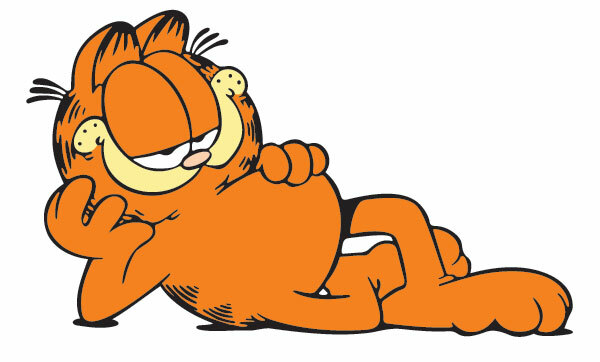 No director or voice cast to report just yet, but expect Garfield to pick up a sense of momentum over the coming months.